Jim Bronzo has dedicated his life to saving animals. All animals, including those no one else will take ...llamas , peacocks, pigs and so many more. Early this morning it was those very Peacocks Jim saved, that saved him. The entire first floor was engulfed when the peacocks alerted Jim on the second floor. He is blessed to have gotten out alive while trying to save his dogs and cats. Dozens of animals perished. The entire structure is gone. Jim was unable to have insurance on the contents of the property and it is a total loss. 38+ years , his life’s work. Please help him rebuild .Jim lost everything personally as well, his clothes, photos, phone. Please help Jim Bronzo today! **gofundme is only taking the standard 2.9% processing fee as this fundraiser is for the individual and the sanctuary. If you want to donate ONLY to the sanctuary you may do so at their website. 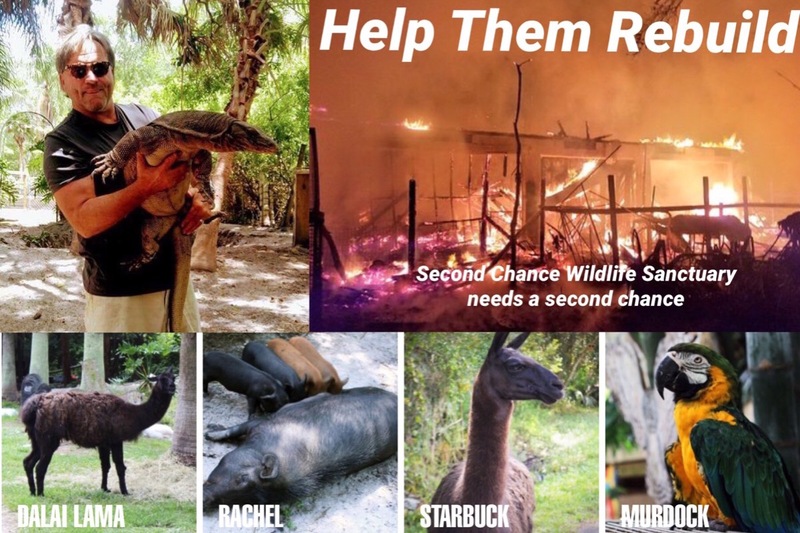 www.secondchancewildlifesanctuary.org ( takes the same 2.9% ) Jim lost his home and all contents as well as giving so much of himself for 40 years. There is enough love to give for both. Please donate what you are able . Thank you !